Yeezy Season is among us once again. After a month full of headlines including a duet with British and music royalty Sir Paul McCartney, a collaboration with RocNation princess and fashion muse Rihanna , the two will also be blessing their fans with one of the most anticipated tours of the year, Kanye|Rihanna Tour, it seems as though Kanye West has found his footing(no pun intended) for 2015. The official unveiling of the shoe was February 12 at the Adidas NYFW show, but its 2015 and if it has to do with Kanye, you can bet that the hackers, paps and sneakerheads are in full tilt to get a glimpse at what can be considered as the year’s most anticipated sneaker. Pictures surfaced all the way back to last year and thanks to @ibnjasper consumers got to see the actually shoe instead of a sketch. The Yeezy Boost 750 will debut in a cool grey colorway with suede material and some signature features of Yeezy past, including the front strap, and futuristic silhouette. Of course with this collab being with Adidas the Air Tech Challenge sole has been replaced with a more subtle yet significantly stylish white sole that suggests comfort is just as important to Yeezy as aesthetics. Underneath the strap you can see Velcro and the signature “Three Stripes” that lets the world know it is in fact an Adidas Original. The Yeezy Boost came out this past weekend only in New York and the lines were crazy. Kanye hand delivered some of the shoes himself. The Boost will be released nation wide on February 28 with a retail price of $350. West Would like everyone to have the Yeezy Boost so they will not be limited. The first run of the Boost will consist of 9,000 pairs. Along with the debut of the shoes West teamed up with Adidas during New York Fashion Week to showcase his fashion line. 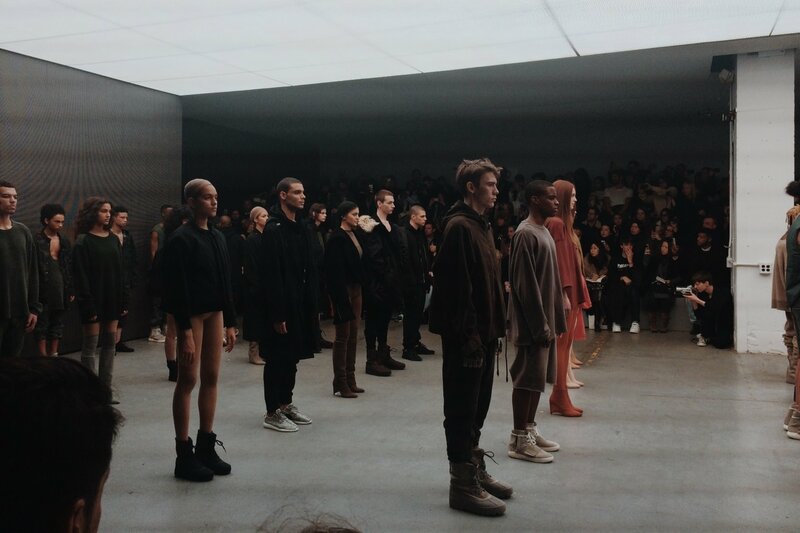 The essence of the show gave the audience a Yeezy army vibe sending platoon after platoon. No runway needed. The concept and visuals were very creative, but you be the judge. West debut new shoes, new clothes, and a new song “Wolves” off his album set to come out later this year. Yeezy season is HERE. 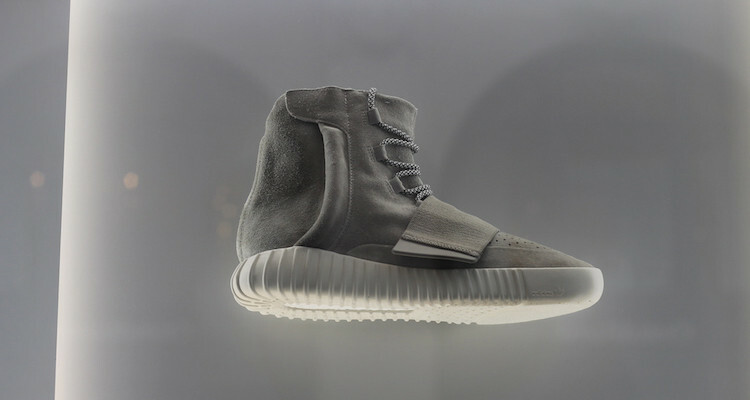 Take a look at the full gallery and let us know how you feel about the Yeezy Boost 750. Will you be waiting in line for these?